The John Stewart 'Gone Fishing' Memorial Trophy designed by Ron Williams and carved by Cllr Bob Needham. Carmen Li Lau with her husband Bob in their 'transformed' garden. 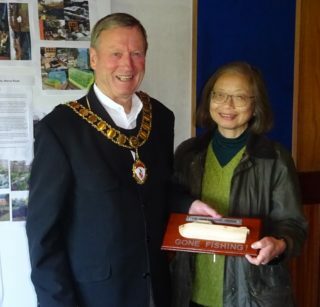 At the wake after John Stewart’s funeral last March 2018, Alan Thomas, Deputy Chairman of the Wivenhoe Allotment & Gardens Association (WAGA) said to me that perhaps WAGA should have trophy in John’s name to commemorate his memory. I agreed and we discussed the idea of something which might reflect the type of person John was. Kind, willing, helpful, growing things, passionate about Wivenhoe’s history, certainly, and much more. He also enjoyed things which were slightly quirky as well as going out on the river in his boat, Pugwash. 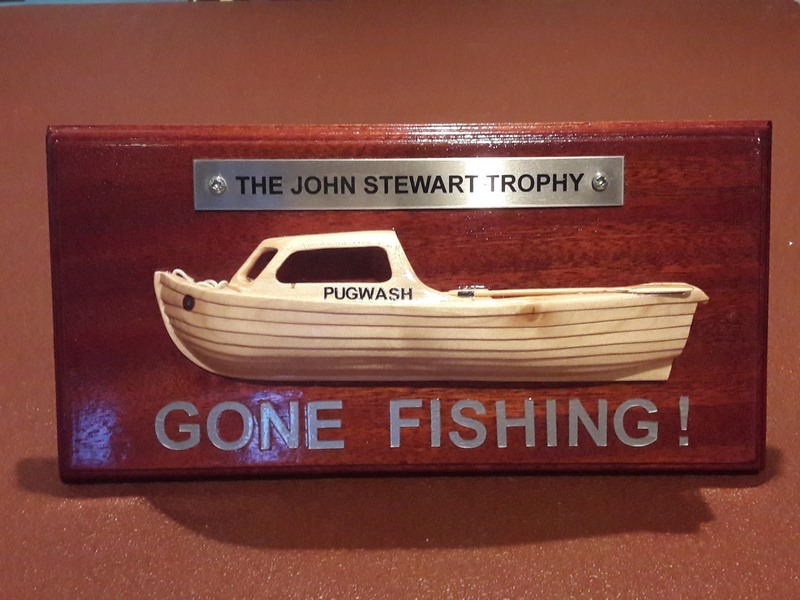 And so was born the idea of the John Stewart ‘Gone Fishing’ Memorial trophy. It was actually Ron Williams who made it happen though. He designed the trophy and gave a drawing to Cllr Bob Needham and talked him into carving it. Bob has long been associated with the Allotments going back to when he was a boy growing up in Wivenhoe and he knew John, as most people seemed to. Bob has also a real skill in wood carving which talent he put to good use particularly in the boat which he carved out of a single piece of wood. Ron also talked Duncan ‘Bilko’ Boon into sign-writing the words on the front of the trophy, and enlisted the help of people at the Town Council offices who arranged the engraving on the front of the trophy. So a real team effort. After a number of discussions, the WAGA Committee agreed that in its first year, we would award the trophy to a WAGA member who had recently transformed their garden or veggie plot and was deemed to be the best out of all the entries. The challenge was promoted in WAGA’s newsletters. As a result we had entries from 4 members: Mike Gosling and his partner Carol, Gilli Primrose, Paul & Lisa Martin, and Carmen Li Lau. Alan Thomas, Jan Sheldon and myself had been mandated by the Committee to judge them, and Alan arranged for us to visit them all on one pleasant Sunday afternoon. Each entry was unique; we knew they were going to be different from the photographs which had been submitted beforehand. Each garden, and the one vegetable garden, which had been entered showed a lot of hard work and some really wonderful results. At the end of the afternoon though we were able to pick a winner, and that was the garden created by Carmen Li Lau. 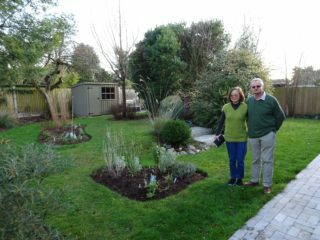 We recognised in Carmen’s transformed garden, a lot of planning, hard work, and thought which had all come together to achieve a really lovely outdoor space with interest throughout the year. So congratulations, Carmen, from all of us on the WAGA Committee. It was fitting that the person who presented Carmen with the John Stewart ‘Gone Fishing’ Memorial at our AGM was Cllr Bob Needham, Town Mayor of Wivenhoe and Hon. President of WAGA during his year as Mayor. And now the Committee has to decide what the challenge is going to be in 2019.